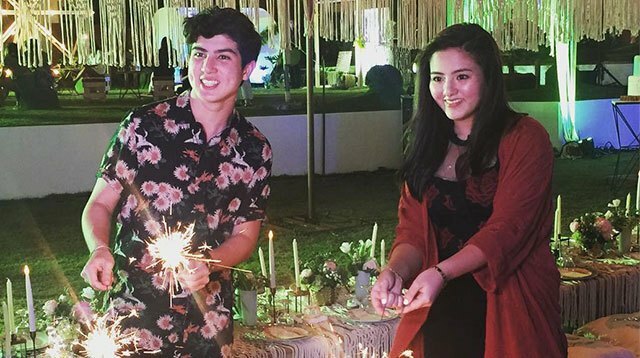 Cassy And Mavy Legaspi Just Celebrated Their Twinning Sweet 16! Their party is what Coachella dreams are made of! We all grew up knowing Cassy and Mavy Legaspi—the adorable fraternal twins of Carmina Villarroel and Zoren Legaspi who have repeatedly starred in those ice cream commercials since they were kids. Well, this tandem isn't so kiddie anymore—Cassy and Mavy recently celebrated their sixteenth birthday! Yes, we are getting older. The twins opted for a music festival-themed party in Batangas, where their guests were treated to a festival starter kit (with sunnies, sunblock, the works), a pool WITH inflatables (because that swan shot is an IG MUST), and a lawn strewn with fairy lights.